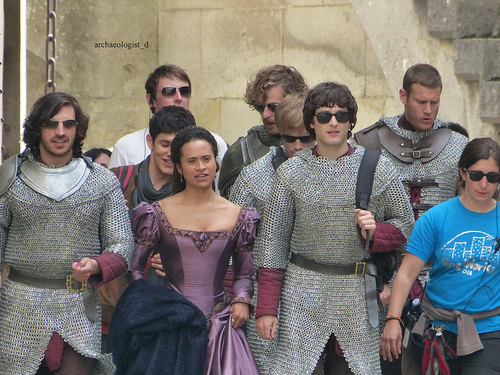 Arthur et Al BTS Spammet (5). . Wallpaper and background images in the Arthur and Gwen club tagged: bradley james angel coulby. This Arthur and Gwen photo contains chain mail, ring mail, mail, chain armor, chain armour, ring armor, ring armour, hauberk, and byrnie.